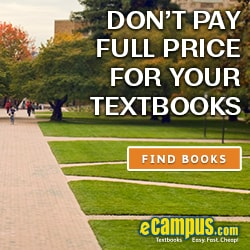 Not sure what to do with the textbooks you’re now finished with? 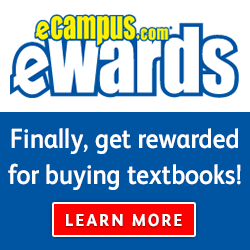 Well, you can either sell them to eCampus.com for cash, check or 20% back for in-store credit. Or, if you’re just looking for an excuse to flaunt your creative proclivities, you can try these five ideas that will have your friends wishing they were as resourceful as you. 1. Dorm room Wallpaper: Take down your John Belushi and Pink Floyd posters and let yourself stand out from the crowd. 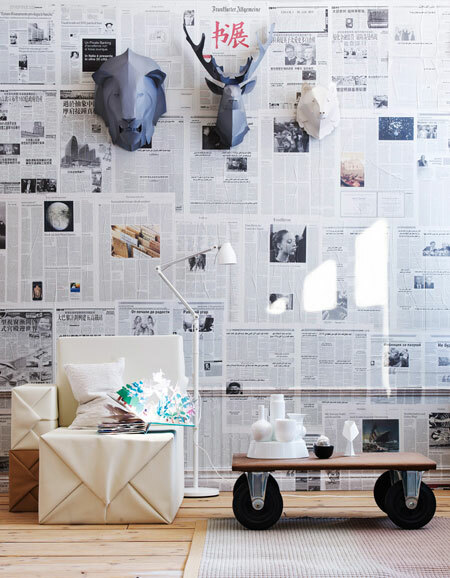 Creating wallpaper from the pages of your old textbooks is sure to transform your inane décor into an indelible ambiance. I personally recommend textbooks from classes such as Art History, Biology, English (Norton’s Anthology), and even Cartography, to name a few. 2. 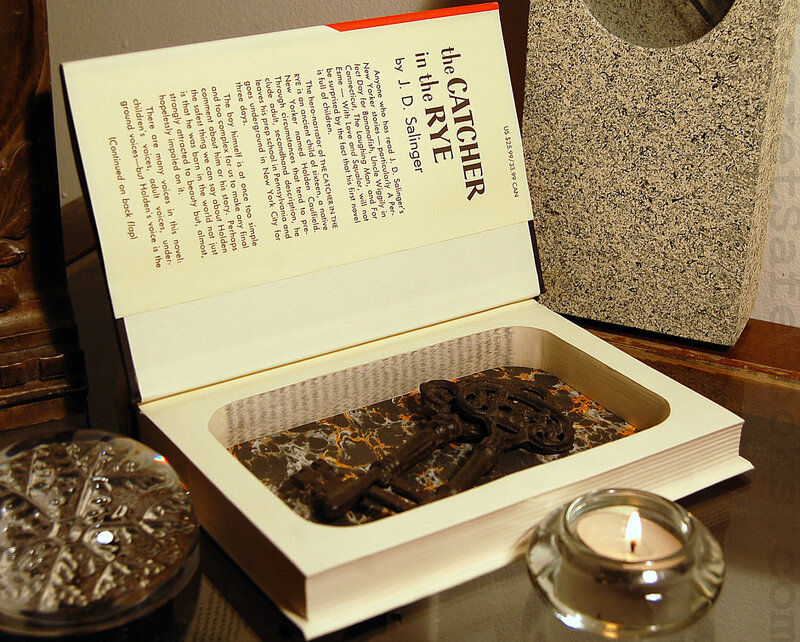 Hidden Book Safe: For the nefarious-minded readers, the uses for this are a no brainer. For the rest of us, this can be a good place to hide your spare cash or other small, valuable belongings like jewelry. For fun, try hiding a smaller book inside of your hollowed out bigger book. Awww, how adorable. Learn how to DIY here. 3. Invisible Book Shelf: Put your books on a shelf without the shelf. Wow! Stare at the picture long enough and it’ll begin to make sense. 4. Bookcrossing – Send your books on a journey: Remember “Where’s George?”—the service that tracks the location of certain $1 bills? Well this is like that, but with books. If you no longer want a book, send it on a journey and see where the wind takes it. Hell, if it makes an interesting enough trip, you can retrace its path and interview the people it’s touched along the way and then write a Pulitzer Prize-winning book about the journey. 5. Origami: Envision a flock of beautifully crafted cranes suspended harmoniously over your head. Folding paper into beautiful shapes is a great way to palliate your boredom and focus your Zen. Get creative with what paper you’ll use for each design. I like the idea of folding a crane from that Ornithology textbook collecting dust on my shelf. (This book would also be amazing for the wallpaper mentioned above). Hopefully I’ve covered every possibility of what to do with your textbooks once you’re finished with them. Have any other ideas? Let us know below!